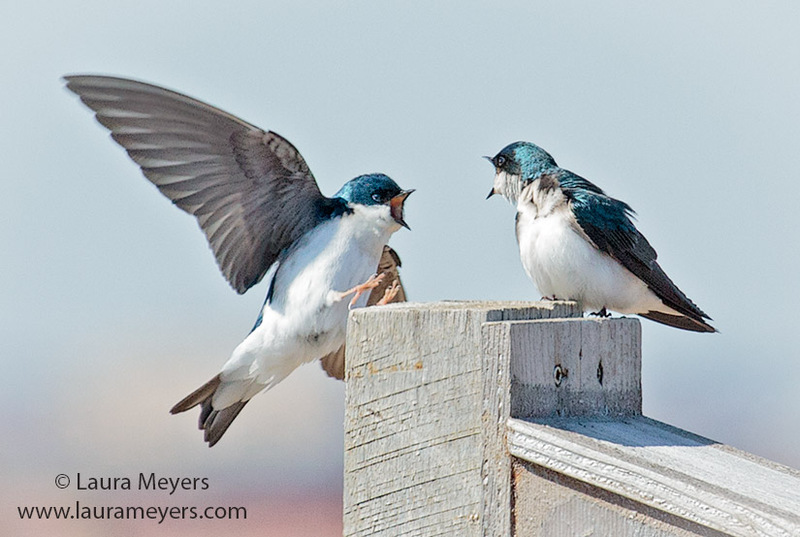 It is wonderful to have the Tree Swallows back inhabiting the air space and nest boxes at the Jamaica Bay Wildlife Refuge. And as you can see, they are being their same chatty selves. Tree Swallows winter farther north than any other American swallows and return to their nesting grounds long before other swallows come back. This entry was posted in Birds, Jamaica Bay Wildlife Refuge, Songbirds and tagged Jamaica Bay Wildlife Refuge, Tree Swallows on April 8, 2014 by Laura Meyers.